Kitty, winner of the national final of the Young Chef 2018. 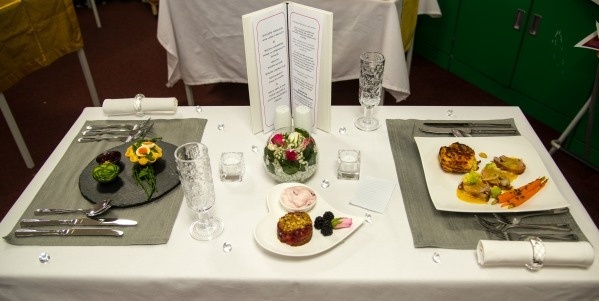 Seven cooking enthusiasts aged between 13 and 16 battled it out in the kitchens of the Abraham Darby Academy in the national final of Rotary Young Chef 2018. 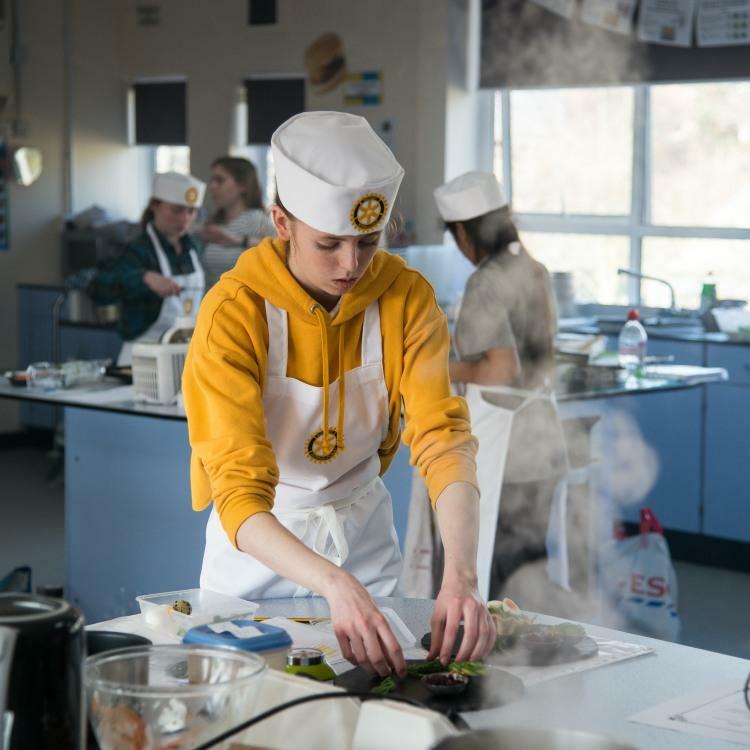 Seven cooking enthusiasts aged between 13 and 16 battled it out in the kitchens of the Abraham Darby Academy in the national final of Rotary Young Chef 2018, but there could only be one winner. The judges tasted dishes, examined the presentation and the methods used, and after much deliberation chose their champion. Huge congratulations to Kitty Grosse, 15, sponsored by Fleet Rotary, who was named as the victor on Saturday 28th April in Telford. The competition attracted nearly 3,000 entrants across Great Britain and Ireland, which is an indication of the skill and talent needed to get through to the national final. The task for the young chefs is to cook a healthy three-course meal for two people, with a time limit of two hours and a modest budget. Seems easy, but it becomes harder when put into action as each round gets increasingly intense. Kitty will also enjoy a morning of truffle hunting and a little sightseeing of Pisa. For mains: Pork wrapped in bacon with a vermouth sauce served with gratin dauphinoise, Romanesco cauliflower and braised carrots.